You've taken basic woodshop and jointer, planer and router... Now what? This class will help you kickstart your woodshop experience by guiding you through a project that will involve all the machines you have learned so far. It's the best way to build your confidence in the woodshop, by making your very own checkered cutting board. 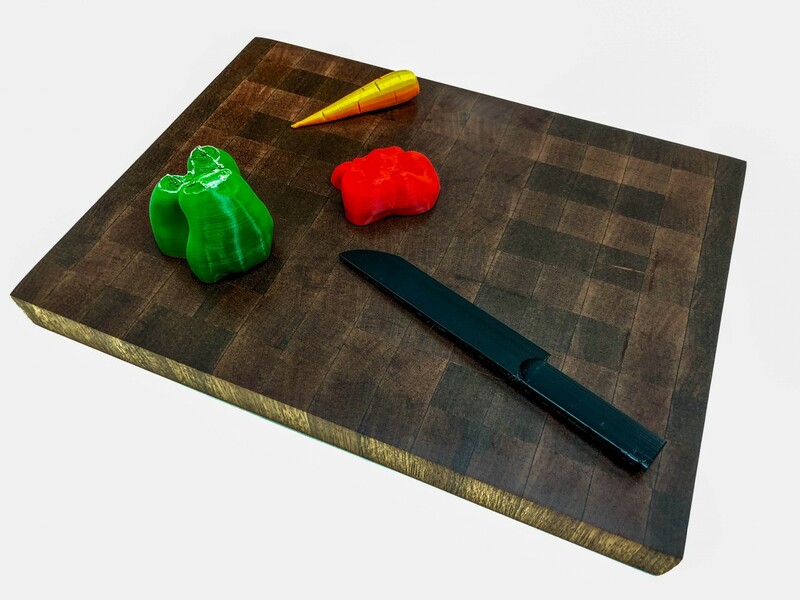 Sharpen your woodshop skills while making a beautiful cutting board out of mahogany and ash. This workshops includes a 3-hour guided session and a self-guided handout, for you to finish your cutting board at your own pace and with your own style. DCs will always be happy to give you a hand if you need any help during the self-guided part. You will also learn about clamping, sanding and finishing techniques, to make sure your cutting board has the perfect finish. Prerequisites: Successful completion of WOD101 Basic Woodshop SBU and WOD201 Jointer, Planer and Router SBU prior to taking this class. Equipment access: Table saw, belt sander, jointer, planer, router, miter saw and hand tools. During class, all 12 to 14-year-old students must be accompanied by a parent or guardian who is also enrolled in the class.